Polk County Sheriff Grady Judd says his office arrested a real-life Grinch who allegedly masterminded a scam to steal toys from the Polk County Toys for Tots charity. The Ledger reports that 38-year-old Tammy Strickland was charged with 166 felony counts and 28 misdemeanor charges. Bail was set at $180,000 because of the number of charges. She is still in jail and it’s unclear if she’s retained an attorney. Judd, who called Strickland “The Queen of Grinches” during a news conference Tuesday, is accused of filing applications using fictitious names for adults and children with Toys for Tots earlier this year to try and obtain toys she intended to keep for her personal tax preparation business. Strickland had advertised giving clients a free toy, AP reported. 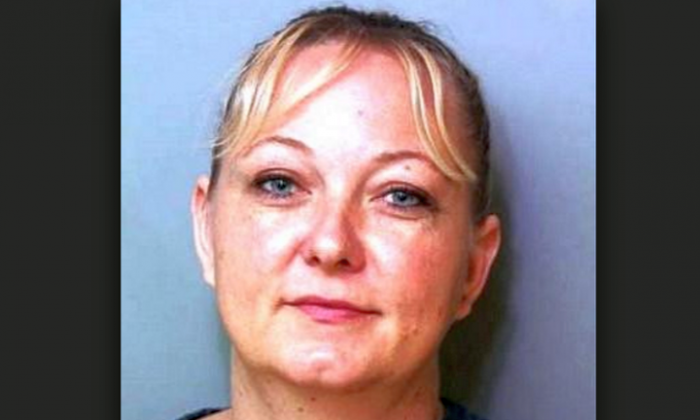 According to the Bradenton Herald, she used 140 fake children’s names and 28 false adult names in her scheme. Judd told Fox13 that she was also getting government assistance. “The wonderful people of this state and this nation are paying her so she can steal from the kids. Are you kidding me? Come on girl! You drive a Cadillac, you steal toys from kids, and the federal government is giving you $511 a month? Wow,” he said.